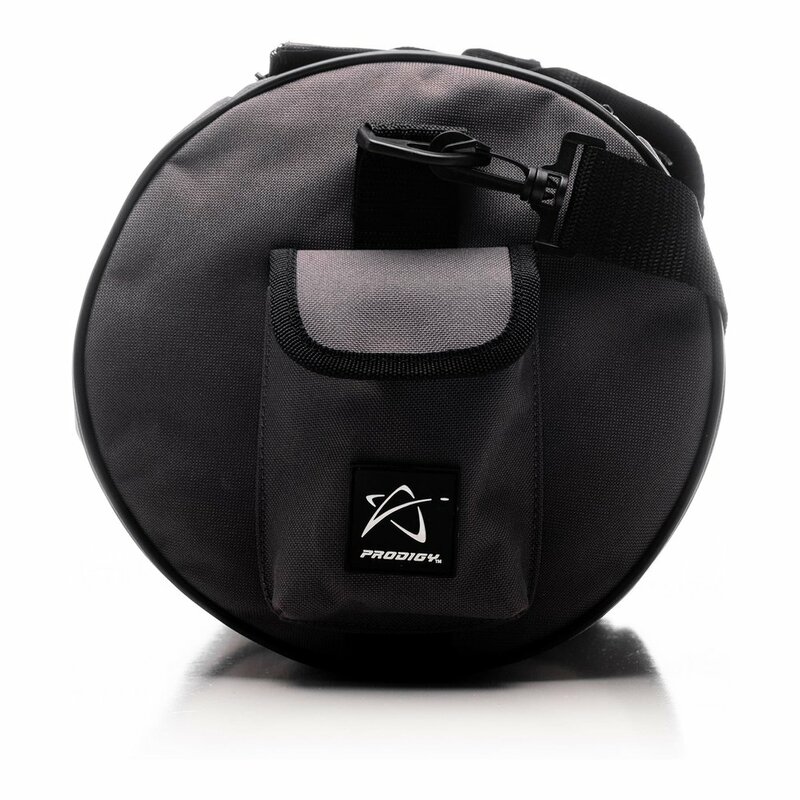 The Prodigy Disc Practice Bag V2 is the best way to organize and transport your growing disc golf collection, and help streamline your practice sessions and beyond. 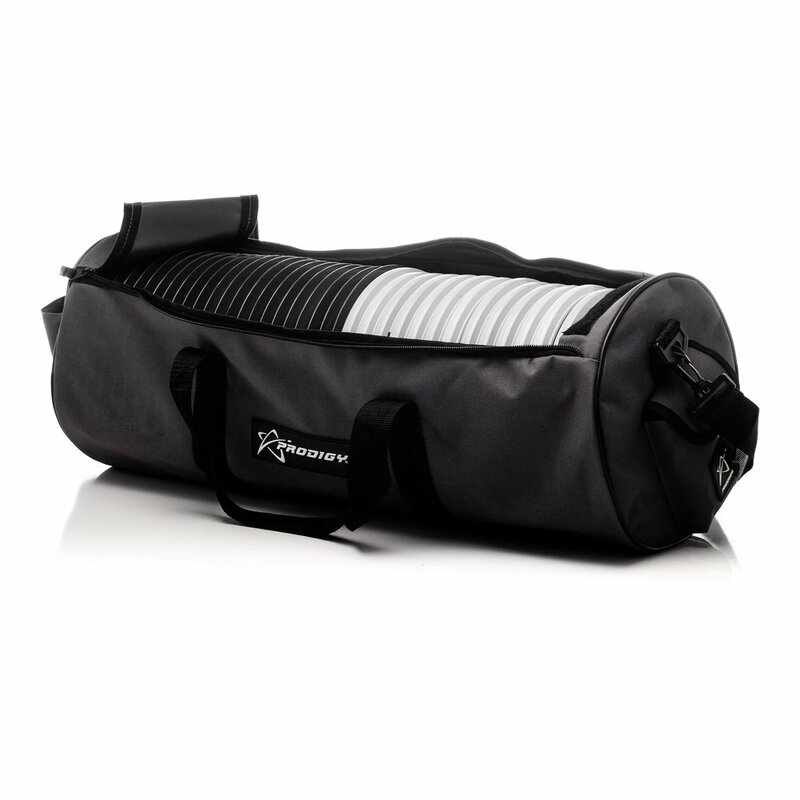 The main compartment holds up to 45 drivers or up to 30 putters, and is easily accessed with the double zippered top. 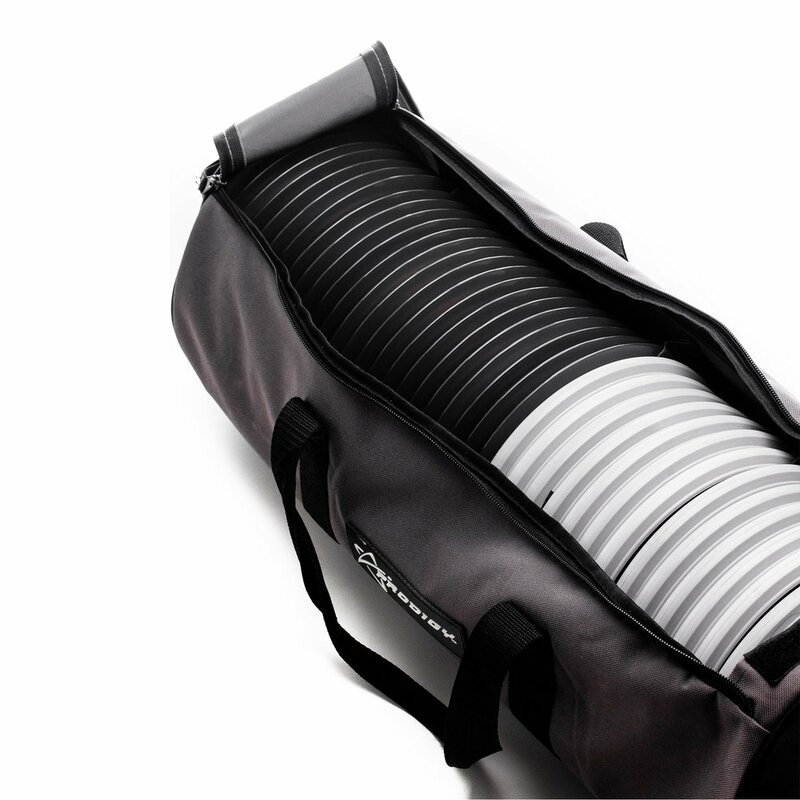 The rigid insert keeps the bag straight as you fill it up to take your discs out to the field or flymart. No more discs scattered in the trunk of your car. 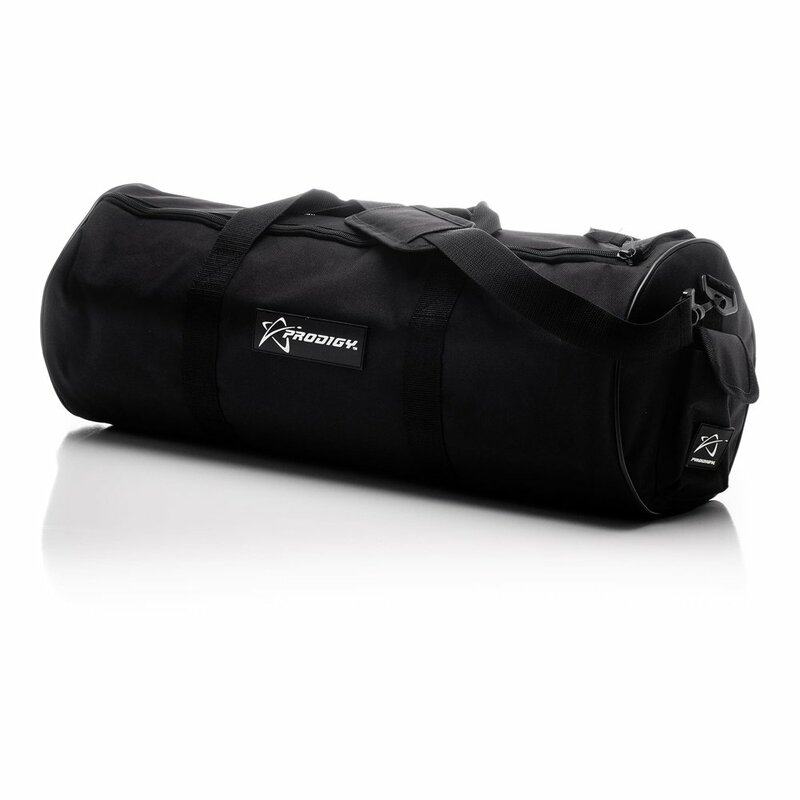 With the new improvements to the Practice Bag V2, we added a magnetic pocket for valuables, a small insulated water bottle holder, and a padded shoulder strap along with rubber branding patches. 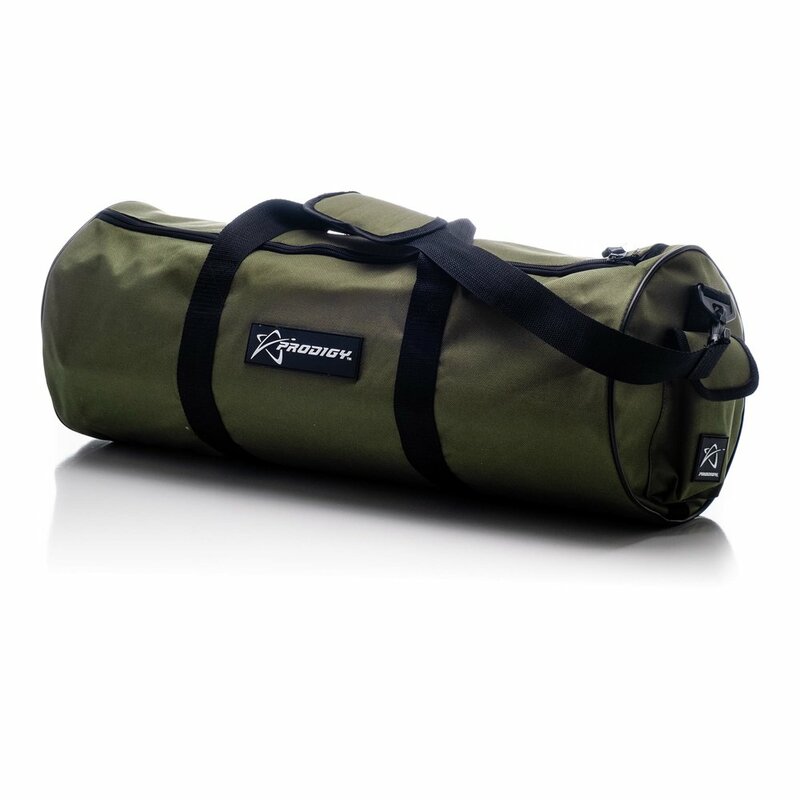 These upgrades make this power-packed bag even more functional and comfortable, no matter how you’re using it.